The directors of Avengers: Endgame have officially confirmed the run time of the highly anticipated culmination of everything in the Marvel Cinematic Universe through 22 films. Previous reports were close but some changes throughout post-production have moved Avengers: Endgame to 3 hours and 58 seconds long. 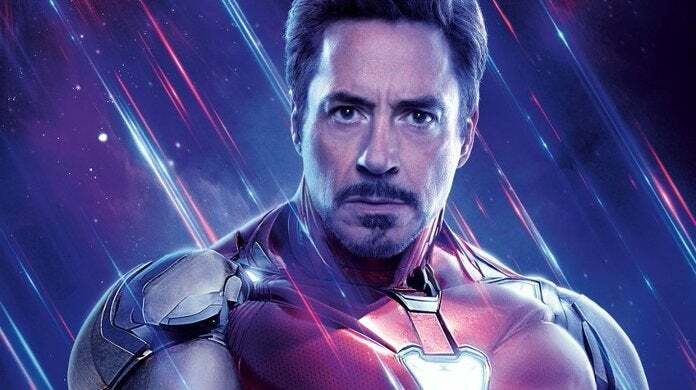 "I think it's three hours and fifty eight seconds," Avengers: Endgame co-director Joe Russo told ComicBook.com. "We just sped up the credits is what we did," he added with a laugh. The Russo Brothers are currently in Las Vegas to accept a Directors of the Year award at the yearly CinemaCon event. On Wednesday, Disney did not bring the Russo Brothers onto the stage during that presentation, however the studio did unveil almost five minutes from the film. "We didn't even know they were showing that, by the way," Joe Russo said. As for where the sequence fits into the movie, Joe Russo isn't willing to reveal any details. In the CinemaCon footage for Avengers: Endgame, one thing which was established was the dynamic between the remaining heroes and Brie Larson's Captain Marvel character. The first meeting of these heroes will come in Avengers: Endgame's early moments. The dynamic between the beloved heroes is something the Russo Brothers focused on strongly in the aftermath of Thanos snapping his fingers and eliminating half of the universe's living creatures. "You'll see this from movie to movie for us, for Joe and I in the MCU," Anthony Russo said. "We really strongly commit to the storytelling that's come before. We strongly commit to what's happened to those characters in Winter Soldier, to the dividing of the Avengers in Civil War and the destruction of the relationship between Tony and Steve. The same way, we're committing to the end of Infinity War. What we do is we track how each of those characters who survived, what is their relationship to those events? How do they move forward from that moment? How do they move forward, individually? Collectively? How do you deal with defeat as a super hero?" Is three hours and fifty-eight seconds long enough to tell the story of how the Avengers thwart Thanos and undo his erasing of half of the universe? Should the movie be shorter? Longer? Exactly as it is? Share your thoughts in the comment section! Stay tuned to ComicBook.com on Friday for the full, in-depth interview with the Russo Brothers regarding their future in film and with Marvel Studios, as well as the upcoming release of Avengers: Endgame.